Local knowledge is vital when it comes to achieving success in the property market. 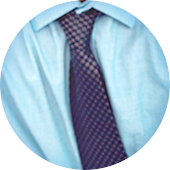 At PropertyTime, our team of professional, knowledgeable agents have been providing a wide range of North London property services since 2008. 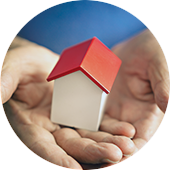 For help or advice on renting, buying or selling a property, call us now on 020 7794 2008. Our area of property expertise and specialist local knowledge spans North and North West London, including Belsize Park, Belsize Village, Camden, Chalk Farm, Hampstead and Highgate. We have a huge number of rental properties available. 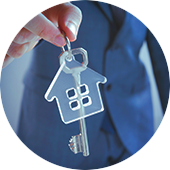 Our experts are available to help you find the perfect rental property. Find out more, see our rental services, or view our properties to rent. Every year, we help hundreds of buyers find their perfect property. 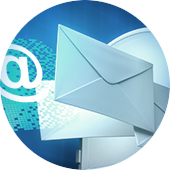 Read more about our services for buyers, or view our properties for sale. Whether you’re selling a house, a flat, or a maisonette, our estate agents in Belsize Park are perfectly placed to help. Read more about our Property Sales Services, or request a free sales valuation. Most of our business for lettings comes from repeat custom and client referrals - which is down to our efficient, friendly, transparent service. Read more about our lettings service, or Free Valuation request a free rental valuation online, or call 020 7794 2008. Belsize Park is one of London’s most stunning residential areas, offering a range of highly sought after white stucco terraces and red brick buildings, as well as arts and crafts houses and modern apartments. Home to a community of young professionals, A-listers, artists, families, NW3 is an ideal location for anyone who wants the convenience of the city, with chocolate-box charm. Just a short walk from the beautiful green spaces of Hampstead Heath and Primrose Hill, the streets of Belsize Park are lined with delicatessens, bakeries, cafes and book shops - and you can even enjoy the weekly Farmers Market on Eton Avenue. There are excellent local schools in the Belsize Park area, both state and independent, including Abacus Belsize Primary School, the Trevor-Roberts prep school, the all-girls Village School (‘Outstanding’ Ofstead). Sarum Hall School and St Christopher’s are both noted as having excellent academic standards in recent ISI inspections. The Hall is an independent school for boys aged 4-13, and the local Fine Arts College offers GCSE and A-level studies for the Belsize area. Haverstock School offers secondary education and is rated as ‘Good’ by Ofsted with notable Outstanding features, including its curriculum. Belsize Park is only about 3.5 miles from Central London, and is well-connected by tube, bus and overground rail services. Nearby stations are Belsize Park (Northern), Chalk Farm (Northern), Swiss Cottage (Jubilee) and Finchley Road (Jubilee and Metropolitan). Hampstead Heath and Finchley Road & Frognal are the nearest overground stations. 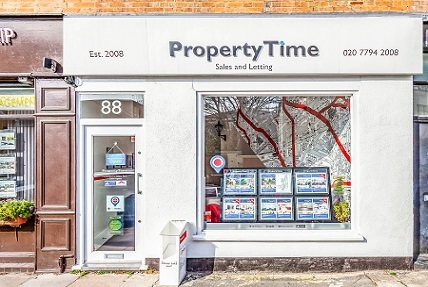 With offices on Belsize Lane, PropertyTime is ideally placed to help you rent, sell or buy your home in Belsize Park. With a colourful cultural history, Camden Town is one of London’s most desirable inner-city suburbs with a vibrant nightlife and famous local market. PropertyTime regularly offers residential properties for sale and for rent in Camden Town and Chalk Farm (NW1) - and the homes available are often as diverse as the community itself. From four-storey Georgian terrace houses just a stone’s throw from Regents Park, to modern studio flats overlooking the Canal, to Edwardian townhouses and Victorian terraces. Camden has much to offer in terms of entertainment. Camden Lock Markets and the Stables Markets offer a uniquely Camden Town shopping experience within converted canal-side spaces. Notable music venues include The Roundhouse, the Jazz Café, Blues Kitchen, the Dublin Castle, and the Hope and Anchor. Camden even has its own Fringe Comedy festival, as well as regular creative and educational events for all ages at the St Pancras Library. Regents Canal runs through Camden, with small boats regularly passing through the picturesque Camden Lock. In addition, Camden Town and Chalk Farm are a short walk from London Zoo, which is nestled in the vast green space of Regent’s Park. The Borough of Camden also offers some excellent primary and secondary schools. North Bridge House Prep School is a mixed-gender school for children aged 3-18; the Camden School for Girls (ages 11-18) is locally-renowned for it’s quality of education; Haverstock School (mixed-gender, ages 11-18) and St Michaels Church of England Primary School (mixed-gender, ages 3-11) both regularly do well in Ofsted inspections. There is also Primrose Hill School (mixed-gender, ages 3-11) and The Cavendish School (all-girls, ages 3-11). The Swiss Cottage School is a specialist school “accommodating children aged 2-19 with complex learning difficulties, emotional, behavioural and communication difficulties and those on the Autistic Spectrum Continuum (ASC)”. Camden Town and Chalk Farm are both well-connected to London’s inner-city transport. Tube stations include Camden Town, Chalk Farm and Mornington Crescent, which are all on the Northern Line. The nearest overground stations are Camden Road and Kentish Town West. Nearby train stations include Kentish Town, Euston, St Pancras and King’s Cross. Hampstead is one of London’s most beautiful village suburbs, spanning a vast area of North and North West London. With it’s boutique shopping, an incredible array of restaurants, it’s own art house Cinema, and the Heath on it’s doorstep, it’s no surprise Hampstead continues to attract celebrities like Benedict Cumberbatch, Ricky Gervais, Emma Thompson and Dame Judi Dench. Whatever type of home you’re looking for, it’s likely we can help you find it here - from Hampstead Garden Suburb, which boats large detached and semi-detached Arts and Crafts houses, numerous red brick terraces and flats, and large houses of the Queen Anne style; to West Hampstead, where there’s an eclectic mix of Victorian properties and new apartment complexes - all converging onto the vibrant eateries and bars of West End Lane. Some of the finest schools in London are found in the Hampstead area. Heathside Preparatory School (ages 3-11, co-ed), Christ Church Primary School (ages 4-11, co-ed) both regularly achieve Outstanding Ofsted ratings. The King Alfred School (ages 4-18, co-ed), the South Hampstead High School (ages 4-18, girls), and the University College School (ages 11-18, co-ed) also tend to fare favourably on their assessments. Hampstead Garden Suburb boasts one of the finest all-girl state schools in London, the Henrietta Barnett School (ages 11-19) which regularly receives Outstanding Ofsted reports. The Kingsgate Primary School in West Hampstead is another Ofsted Outstanding school (ages 3-11, co-ed). Hampstead is a very well connected area of London. Underground stations include Hampstead and Belsize Park (Northern Line), and Finchley Road (Jubilee and Metropolitan). Hampstead Heath and Finchley Road and Frognal are the two closest overground stations. The nearest train stations are West Hampstead, Cricklewood, Kentish Town, and Queen’s Park. With its world famous residential architecture, Highgate is one of London’s most desirable locations, with a thriving community spirit. With its many boutique and independent stores such as the Highgate Bookshop, as well as traditional, longstanding events such as the Alexandra Palace Farmers Market on Sundays, it really does have a unique village vibe. In addition, Highgate is nestled between some of London’s finest green spaces, including Highgate Wood, Waterlow Park and Hampstead Heath - making it the perfect place for families. At PropertyTime we regularly have properties available to rent or buy in Highgate. Residential stock includes a host of fine Georgian and Victorian properties - but the jewel in Highgate’s crown is undoubtedly the contemporary ‘glass house’ architecture by Eldridge Smerin, located within the conservation area. Highgate boasts an excellent selection of schools, including the co-ed Highgate School (ages 3-18) and the LaSwap sixth form consortium. Girls’ schools include the Channing School (ages 4-18) and La Sainte Union Catholic Secondary School (11-18). St Aloysius RC College (ages 11-19) often comes out as the top boys’ school of the area. The area of Highgate is divided between the London boroughs of Haringey, Camden and Islington. Tube stations servicing Highgate are Highgate, Archway, Tufnell Park (All Northern Line on the tube). Upper Holloway and Gospel Oak provide the overground connection. Kentish Town, Finsbury Park, Harringay, Hornsey and Drayton Park are all nearby train stations. From our boutique office in Belsize Village, we have excellent access to North West London, and the immediate surrounding areas of Camden Borough. The areas we know best include Belsize Park, Swiss Cottage, Camden, Chalk Farm, Kentish Town, West Hampstead, Kilburn, Maida Vale and St John’s Wood. The village vibe combined with fantastic transport links into Central London and The City make these locations the ideal choices for both tenants and prospective home-owners. If you’d like advice on where to rent or buy in North West London, we can offer tailored information to help you find the perfect property in the right location for you. If your property is situated in North West London, contact us now for a free valuation of your property. 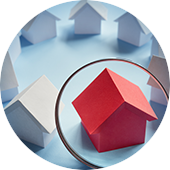 We keep an up to date list of prospective tenants and buyers, and are guaranteed to have a large number of potential tenants and buyers interested in your home even before it goes on the market. From our office in Belsize Park, PropertyTime has successfully built up a portfolio of properties across North London areas including Highgate, Archway, Crouch End, Muswell Hill, East Finchley, Finsbury Park, Highbury and Islington and as far north as Wood Green and Tottenham, with numerous sales and lettings taking place monthly. Having built up excellent local knowledge of North London, we’re able to bring prospective tenants and buyers currently looking in North West London, helping them to achieve more with their budget than they may be able to find in their initial search area. We regularly complete the sale of properties in these locations on many occasions outperforming local agents whilst winning praise from buyers, sellers and landlords - earning a reputation as a proactive agent with expert knowledge and the highest levels of customer service. To hear about our service directly from buyers, sellers and tenants, please see our Testimonials. Since 2008, PropertyTime has been instructed by landlords and sellers to assist with their properties in the West End and The City - including Fitzrovia, Covent Garden, Marylebone, Kings Cross, Mayfair, Knightsbridge, Chelsea, North & South Kensington, Notting Hill, Ladbroke Grove, Shoreditch and Old Street. Contact us now for your free valuation and find out how much your home could be worth.